The 19th century genealogist, Sir William Betham (1779-1853), claimed the Comerford family was of Norman origin, coming to England with William the Conqueror in 1066, and then to Ireland in 1189. An account of the family origins that had wide currency in the 19th century was recounted by both Betham, who was Ulster King of Arms, and by Charles ffrench Blake-Forster (1851-1874), the romantic Victorian genealogist whose mother was Mary Josephine Comerford from Galway. ‘Amongst the chivalrous and bold warriors (all of whom were not Normans) who accompanied William II, second reigning Duke of Normandy, surnamed the Conqueror, in his invasion of England, AD 1066, was Sir Fulco de Comerford, under whose azure banner, on which was emblazoned three mullets or, fought twenty men-at-arms, and four knights of his own kindred to aid William of Normandy in his invasion of England in 1066. After the conquest Sir Fulco received a grant of several lordships from William the Conqueror, and from him descended De Comerford [sic], of the county of Stafford, whose younger brother, Sir Henry, and his nephew, Sir Fulco de Comerford, came to Ireland in the rain of Prince John, son of King Henry II, in 1189. Fulco returned to England with the Earl of Montaigne; but Sir Henry remained in Ireland, and, marrying a sister of the powerful Hugo de Lacy, Governor of Ireland, became possessed of considerable property, and was ancestor of the Irish Comerfords; according to an ancient vellum Ms, “Hee was ane gudely knyghte, and ancesture of ye Comerfords, Barons of Dangeanmor”.’ [Blake-Forster, Irish Chieftains ] (Dublin: McGlashran & Gill, 1872), p. 476, n. 68. The Kilkenny historian Healy quoted Betham’s account from an abridged transcription by Blake-Forster, and it was accepted with variations by many 19th century historians, including John GA Prim, who perpetuated the misunderstanding that the Comerfords of Kilkenny originated in Staffordshire. But who was Charles ffrench Blake-Forster? How reliable was he as an historian? How was he descended from the Comerford family? And are there are any other descendants of the Comerford family in the Blake-Forster family? 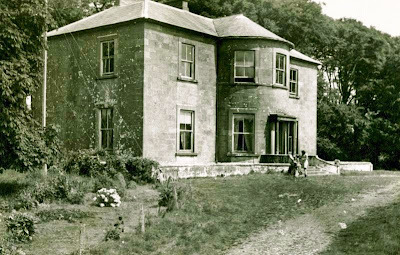 In 1839, Ballykeel House, or Ballykeale House, near Ennistymon and Kilfenora, Co Clare, once the home of the Lysaght family, became the property of Henry Comerford in 1839, and it passed from Henry Comerford to the Blake-Forster family in 1846 when his eldest daughter and co-heiress, Mary Josephine, married Captain Francis Blake-Forster, JP, of Castle Forster – the name the Blake-Forsters gave to the old French estate in the Doorus Demesne near Kinvara. Francis and Mary Josephine (Comerford) Blake-Forster were the parents of Charles ffrench Blake-Forster (1851-1874), who became a prodigal but controversial journalist, writer, historical novelist, periodical writer and genealogist. Charles was born in Forster House, Forster Street, Galway, and was proud of his descent from the Comerford family and his long lineage traced through the Blake-Forster and ffrench families, and his grandmother was a sister of the last Warden of Galway, Edmund ffrench. The Forster family in Co Galway was of English origin and first acquired property in Co Galway in the 1640s. The family was descended from Francis Forster who was the son of Thomas Forster of Hunsdon, Hertfordshire. He obtained the Clooneene or Ashfield property though a royal grant from Charles II dated 18 August 1677. Francis Forster married Mary O’Donnellan, a daughter of Sir James O’Donnellan. The family also had houses at Rathorpe and later at Fiddaun as well as in Co Clare in the parishes of Kilfenora and Drumcreehy. Francis Forster, who inherited the family estate in 1752, married Anastasia Blake of Menlough (Menlo) and the family became known as Blake-Forster. The estate at Ashfield passed from the Blake-Forster family in the 1830s. The family also owned the Knockmoy Abbey estate in the baronies of Tiaquin and Athenry, Co Galway. Ashfield and Knockmoy Abbey, Co Galway, were inherited by Robert Blake-Forster (1769-1799). He was born on 11 June 1769 and when he died at Ashfield on 24 August 1799, he was buried with his ancestors at Kilmacduagh Abbey, Co Galway. In 1787, Robert married Anne Daly, eldest daughter of Colonel Denis Daly of Raford, Co Galway. 4, James Blake-Forster, a lieutenant in the Royal Navy. He lost his arm at the bombardment of Algiers, on 27 August, 1816, when he was 18 and on board the Severn Frigate. He was one of the officers on board the Bellerophon, when Napoleon was received on board. 5, Anne, who married William Butler, of Bunahow, Co Clare. ● 1a, Thomas McNevin (1814-1845), barrister, author of The Irish Volunteers and The Confiscation of Ulster, and one of the seven who wrote for the The Nation newspaper. He was educated at Trinity College Dublin, and was Treasurer and Auditor of the College Historical Society. He was one of the most “brilliant intellects” associated with the Young Ireland movement, and he died under “peculiarly sad circumstances” on 8 February 1845 in a Bristol asylum. The eldest son, Francis Blake-Forster, of Ashfield and Knockmoy Abbey, Co Galway, was born at Raford, his grandfather’s home, on 26 November 1787. On 15 October 1810, he married the Hon Rose ffrench, daughter of Thomas Hamilton ffrench, 2nd Baron ffrench, of Castle ffrench, Co Galway. Her brother, Edmund French (1775-1852), a Dominican friar, was Bishop of Kilmacduagh and Kilfenora and the last Warden of Galway. Towards the end of his life he lived near his sister, Rose Blake-Forster, at Park Lodge, Gort. 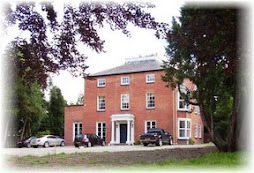 In 1814, the house at Ashfield or Clooneene was the home of Francis Blake-Forster but by 1837 Lewis records it as in the ownership of Daniel MacNevin, who had married Emily-Blake-Forster. Ashfield House has since been demolished, although substantial parts of the walled garden and the gate lodge can still be seen. 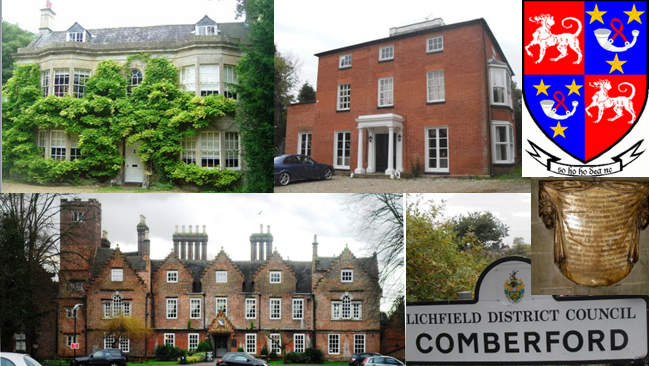 Tradition suggests that Francis Blake-Forster let Clooneene (Ashfield) and built a house which he called Rosepark, after his wife, Rose ffrench. Blake-Forster took an active part in the campaign for Catholic Emancipation and chaired the great meeting in Ennis. He was one of the committee to conduct the return of Daniel O’Connell. He died on 10 November 1837, and was buried with his ancestors at Kilmacduagh. 1, Charles ffrench Blake-Forster (1851-1874), author. 2, Captain Francis O’Donnellan Blake-Forster. The elder son, Charles ffrench Blake-Forster, was privately educated at home and later in England. On his return from England, although he was only in his late teens, he began to play a prominent part in public affairs in Galway, and began writing for local newspapers. He wrote a number of articles on local history for the Galway Vindicator and the Galway Express between 1869 and 1871. Some of his contributions to local newspapers were controversial because his information on the neighbouring gentry was not favourably received. These gentlemen of ancient lineage and proud pedigree, as the editor of the Galway Vindicator called them, created such a fuss that Blake-Forster was “blackballed” at the Country Clubs of Galway and Ennis, and at the principal clubs of Dublin. However, his only full-length published book was The Irish Chieftains, or, a struggle for the Crown, published in Dublin in 1872 by McGlashran & Gill. It purported to be an account of the Williamite War in Ireland from the perspective of people in Galway, many of them historical and including some of his ancestors. A crownless harp on the cover, denoting the absence of royal dominion over Ireland. At the beginning of the book, Charles claims he is the author of 10 other published books, but the works attributed to him in The Irish Chieftains have never been traced and may never have been published. Nor does he give his source for “an ancient vellum Ms” that contained the family tree of the Comerfords,; unless he is referring to Joseph Comerford’s pedigree, this too has never been traced. His claimed works that have never been traced were: The Annals of Athenry, or Ye Citie of the Barons, The Annals of Galway, The Annals of Kilfenora, The Annals of Knockmoy Abbey, The Genealogies of the principal families in the Counties of Galway and Clare, General Forster’s Rebellion or, The Rising of 1715, A historical and biographical memoir of Major General Don Hugh Ballafarg O’Donnell, A historical sketch of the De Birminghams, Lord of Athenry, The Lady Adeliza Dillon: a story of the Penal Laws, and A topographical description of the county of Clare, its castles, Abbeys and round towers. He became a town councillor of Galway, a member of the local Board of Guardians, and he was only 23 when he became High Sheriff of Galway in 1874. As High Sheriff of Galway Town, he presided at three Parliamentary elections in 1874. But later that year he died of a brain haemorrhage, brought on by overwork, at his father’s house in Forster Street, Galway, on 9 September 1874. At the time, he was unmarried and aged of 23. He was buried in the family vault at Bushypark Church, on the Galway-Oughterard road. At the time of his death, the Galway Vindicator said that his most important work, The Annals of Galway was still in manuscript. Bhe had already claimed in 1872 that it was published, but there is no record that this work ever went to print and no manuscript has ever been found. On 22 September 1874, just after a fortnight after his death, his father, Captain Francis Blake-Forster, JP, gave to the Bishop of Galway, Dr McEvilly, a site of three acres of prime land in the town of Kinvara, rent free forever, as a site for a convent and church. Meanwhile, the Abbeyknockmoy estate of almost 4,000 acres had been offered for sale in October 1851. Hermitage or Neptune was another family house, and in 1862, it was known as Hermitage House and was the residence of Francis Blake-Forster. It has been in ruins since the mid-20th century. 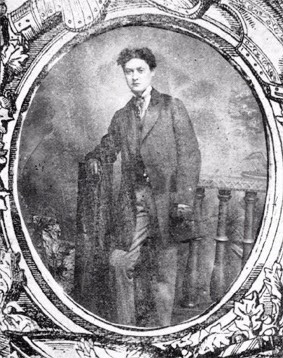 In the 1870s, Captain Francis Blake-Forster owned 3,593 acres in Co Galway and 1,308 acres in Co Clare, while his brother Robert Blake-Forster of Corofin, Co Clare, owned 572 acres in Co Galway. Charles’s mother Mary Josephine (Comerford) Blake-Forster died on 26 September 1881. The second son, Captain Francis O’Donnellan Blake-Forster, of Castle Forster, Kinvarra, Co Galway, and Ballykeale House, Co Clare, was High Sheriff of Galway in 1878. In 1879, he married Marcella, eldest daughter of Robert Johnstone, JP, of Arran View, Doolin, Co Clare, and co-heiress of Admiral Sir Burton Macnamara. 1, Catherine, who married in 1910 John St George Lucas, JP, of Sandfield, Liscannor, Co Clare. 2, Francis Blake-Forster, of Corr House, Co Clare, who married in 1914 Ethel R Taaffe. 3, Mary, who married in 1911 David Crawford Pearson, MD, of Lisdoonvarna, Co Clare. 4, Frances, who married in 1918, Arthur Matthew Kelly, of Porte, Co Clare. 6, Marcella, who married Michael Comyn, KC. 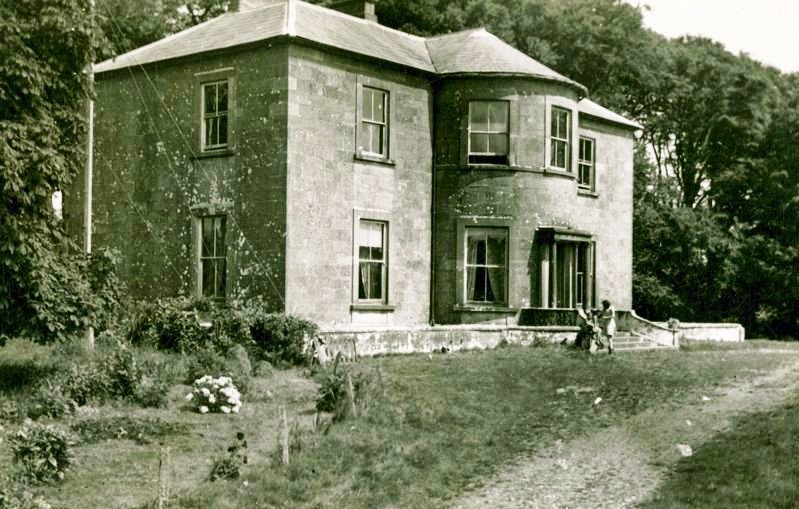 Francis O’Donnellan Blake-Forster was still the owner of the former Comerford family home, Ballykeel House, in 1906. In 1906, Marcella Blake-Forster owned over 250 acres of untenanted land and a mansion house at Corr, in the barony of Longford. Mrs Blake-Forster was still living in Ballykeel House in the 1940s and the Irish Tourist Association file lists the paintings in the house. © Patrick Comerford 2009, 2015. Last updated: 23 and 24 April 2015.